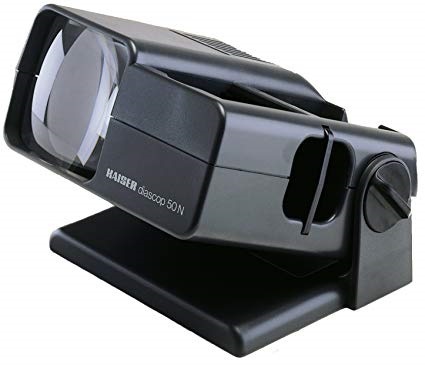 Slide viewer with 3x magnifying double lens for 5 x 5 cm (2 x 2 in.) 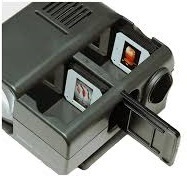 framed slides and uncut film strips, change slider for convenient slide changing without annoying bright intervals, drop chute for up to 40 slides. Top section tiltable for adjusting desired viewing angle, mains connection. Cleaning cloth with microfiber for cleaning films. Also suitable for cleaning lenses, discs, monitors, glasses, etc.